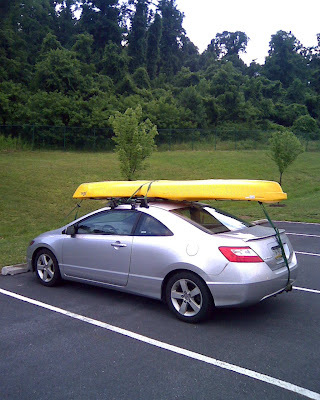 After purchasing the kayaks I was dieing to try them out as soon as possible. Luckily, I was able to get out on the water wit h my buddies Brad and Chad one day this past week. 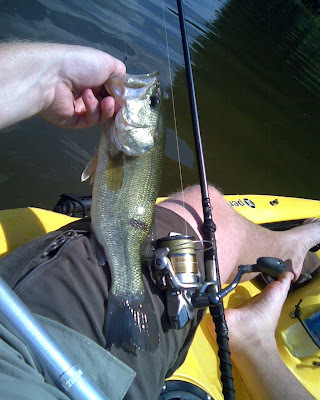 We did some paddling around and fishing at Pinchot Lake in York County. We didn't catch a lot, but were able to manage a few largemouth bass. I got two little baby bass and three other decent ones... 13 inches and up, with the biggest being about 16 or 17 inches long. I caught them all on senkos. I'll post a couple pics for you. 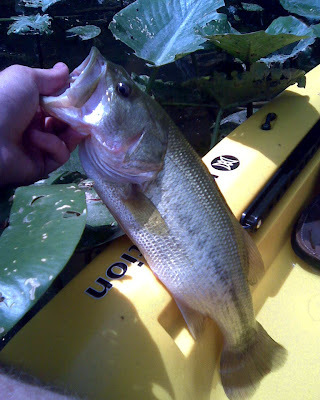 I generally fish from shore so there has been a little bit of a learning curve involved with the kayak fishing for me. Especially in the river. I'm in the process of learning to how deal with the current, and figuring out when and where it is safe to anchor. In fact, I'm thinking a drift sock will be a purchase I make in the near future, as I often feel I'm drifting to fast to thoroughly fish an area. 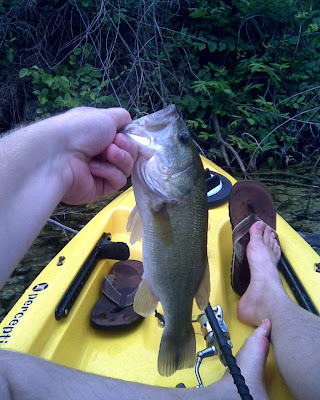 Still, I love fishing from the yak! It is a great means for me to reach water I could have never fished before, while on foot. I can't wait to spend some serious time on it this summer, and hopefully hit some of the local lakes that I haven't fished for years. I think Marianne and I are planning to hit the river with our kayaks tomorrow, so hopefully I will have a succesful report and some pictures to share with you in the next couple of days.